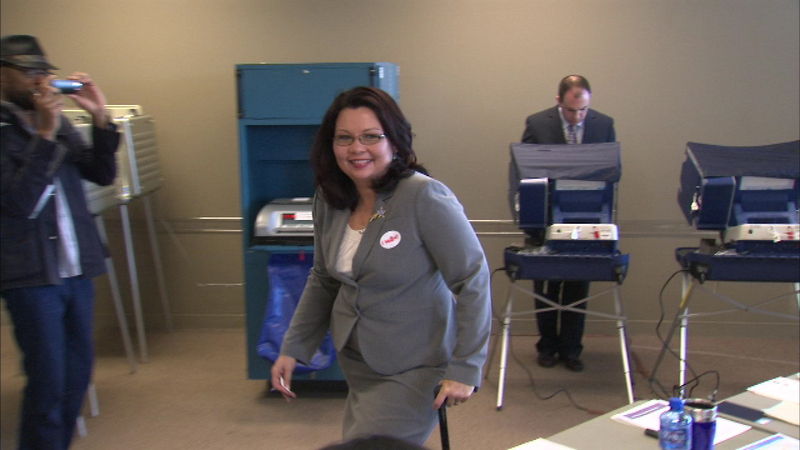 CHICAGO (WLS) -- United States Congresswoman Tammy Duckworth is set to get a big endorsement Monday in her race for U.S. Senate in Illinois. The Service Employees International Union is scheduled to make that endorsement Monday morning. The SEIU represents more than 150,000 people in Illinois. The union says Duckworth is the best choice for working families in the state. Duckworth is facing Napoleon Harris and Andrea Zopp in the Democratic primary.